Today we welcome Kathryn for an interview! Writing never came to my mind until I started reading a ton of teen fiction after graduating from college and becoming a stay-at-home mom. In 2010 I read the last book in a trilogy and was so upset that I told myself to write my own book! I've only written one book! Writing was a new thing for me. It took almost three years to finish writing my novel. I changed it over and over again before even finishing it. When I finally finished I then had to go back and read through and change even more things. I did that more times than I can count. When ideas fly into my mind I write it down. It was on and off. I went from having only 2 boys to 4 boys when I finished writing and editing Aspen Everlasting. My schedule changed every few weeks. I'd write in the early morning like 5am, nap time, or evening around 8pm. As much as I would love to have writing as my occupation, I can't right now. I'm a mother of 4 boys between 3 and 10 years old. I read and write when I can, but being a mom is number 1. The first sentence needs to pull readers in. It can be funny, intriguing, or exhilarating. The first chapter needs to throw you into a story that pulls you in. Finding the time to write! Of course I love Aspen the main character, but I think her older brother Ash is my favorite. He makes me laugh. I found out I had a brain tumor just as I was finishing editing from beta readers and an editor friend. I decided to finish editing and send it to agents before my surgery. After my brain tumor surgery I started hearing rejections from agents. I'd worked so many years on this book and was about to go through radiation and chemo so I didn't have the patience for more agent rejections. I went straight to publishers I'd worked with as a book blogger and was accepted by Cedar Fort! Yes, my family and friends have been buying my ebook and reading it. They love it. My college roommate loved how Aspen reminded her of me in my college days. I laughed not realizing that. It's true though. I love music. I'm a music teacher at a twice a week Parents' Day Out. The kids are 4 months to 5 years old. They are precious. I love my 4 wild boys. They're my Coop Crew. I love spending time with my husband. He is the inspiration to my romance writing. Go for it! It's very fun and addicting. Make time for it when you can. Reading is the most helpful thing for writing, so read! There are so many amazing authors! Jennette Rallison. Shannen Crane Camp. 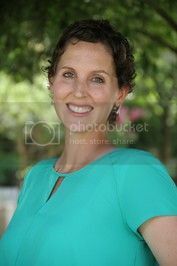 Lisa T. Bergren. Jenni James. Ally Condie. Ally Carter. Kasie West! I had 4 amazing beta readers! My go to person would be my husband. I'm wanting to write more on my current book but post brain tumor surgery treatments took my energy. The energy is starting to come back so hopefully I get back to writing more soon. BlueBell Ice Cream (I'm a Texan!). Dr. Pepper. A sweet kiss in a novel. Watching my 4 boys do something hilarious. Looking at my husband. Thanks so much for stopping by today, Kathryn. It was great having you here. I am the author of Aspen Everlasting published by Cedar Fort Publishing. I have four energetic young boys. My husband and I get some good laughs and exhaustion with their wild energy running around our home. I was born and raised in Texas. My country life gives me peace. 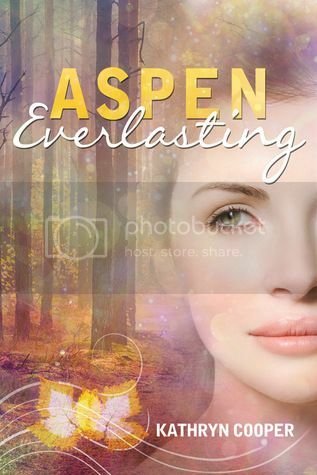 I hope you enjoy reading Aspen Everlasting. Visit my website to see the many books I've read. My clean teen fiction book blogging days started back in 2011. And I do occasionally read adult books too.